Are you looking for new ways to enhance your customers’ experience? Why not start with a power player in the social world known as Instagram. 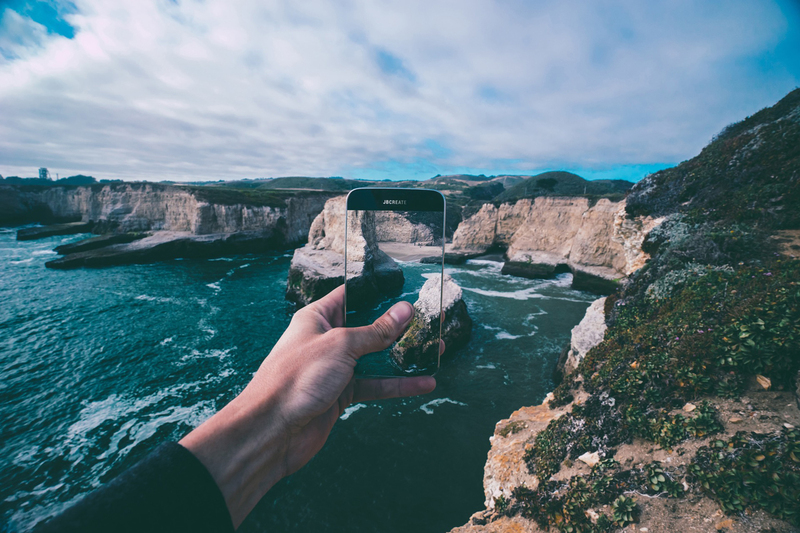 Using images and short video is great for this, and Instagram is the perfect place to start! It’s time to discover Instagram for business and the various Instagram marketing tips that you need to make a difference on your campaigns. 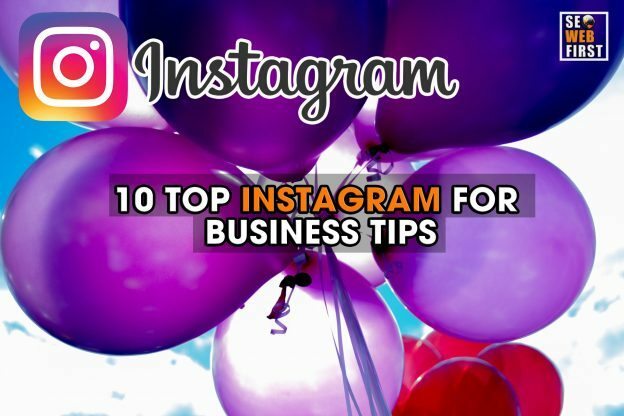 In this post you will get 10 key tips to help you excel on Instagram. Be sure to read to the end because we left the BEST Tip for the last. The tip that will really put you ahead of your competitors, (or just scroll to the bottom and skip the rest)! Plus a TON of Bonus Tips along the way! There are 600 million active monthly users on Instagram AND those users like 4.2 billion posts EVERY DAY! You can’t afford to ignore this social platform any longer. Instagram is a visual platform where you go to show your business in a creative way. It is quickly becoming one of the top social media platforms, especially for reaching the under 35 demographic. 3) Connect it to your Facebook, so that your followers know they can now follow you there too! You can choose to make your profile a business page (which we will write about in a later post), but according to Entrepreneur.com, converting to “Instagram Business” might not be a winning brand strategy. I’ll leave it up to you to decide. Now that the easy part is done, it’s time to dive into the tips that will help you create a presence on Instagram. It all starts with a profile people are interested in. Don’t jam your 150 characters with your services. Focus on the unique service proposition that you have to offer people. It will catch people’s attention and hook them in. 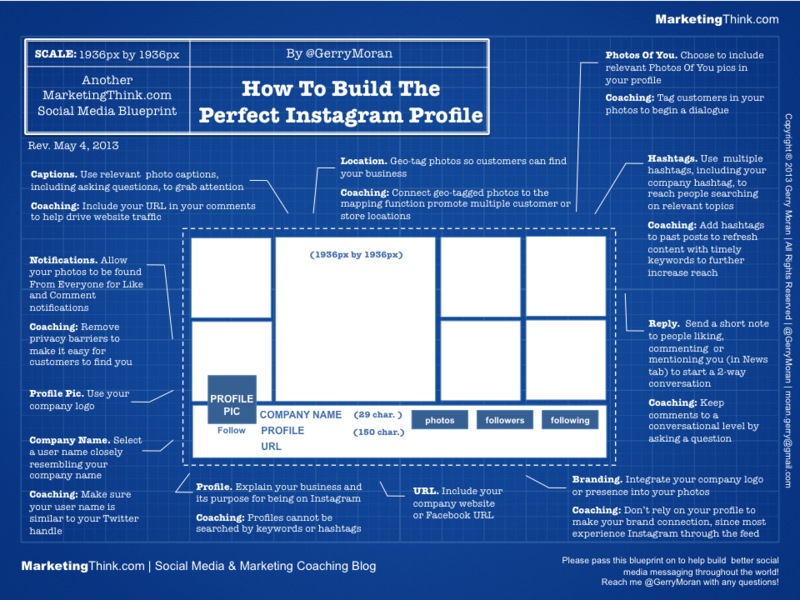 Gerry Moran Example of a Perfect Instagram Profile. –	Avoid using quotes that don’t connect to you or the photos you are posting. –	Include Links to your website in your bio. This will help drive traffic to your website. –	Make your Handle name recognizable &amp searchable (use your business name). There are a lot of people out there sharing on Instagram. Make comments on their content as you see fit. This will get them interested in what you are all about. The key to this is to make sure that you are commenting “smartly”. Start by making a list of 15-20 brands and/or people that appeal to your ideal customer. Then go and comment on their images and videos. Anyone who follows them will see your comment. Be creative. Tell them you like their photo or ask them where it was taken. If you make your comment interesting enough, then others that see it might click over and check out your profile. Make it stand out from all the other cookie cutter remarks (ie. “nice pic” and “love this”). Don’t make it about your business, otherwise it’s too in-your-face and that’s not what Instagram for business is all about. ***Extra Tip*** DON’T ask people to follow you! If you are genuine about your interaction then others will be more interested to interact with you and want to get to know you more. Neil Patel, from Quick Sprout, states that liking other people’s photo is one of the best ways to get new Instagram followers. He even conducted an experiment on it. He liked random photos and found that every 100 photos that he liked, he received 21.7 likes for his own photos and gained 6.1 more followers! That is a pretty good ROI for liking photos. Liking photos from your niche is a great place to start. Do this by searching under a specific hashtag. 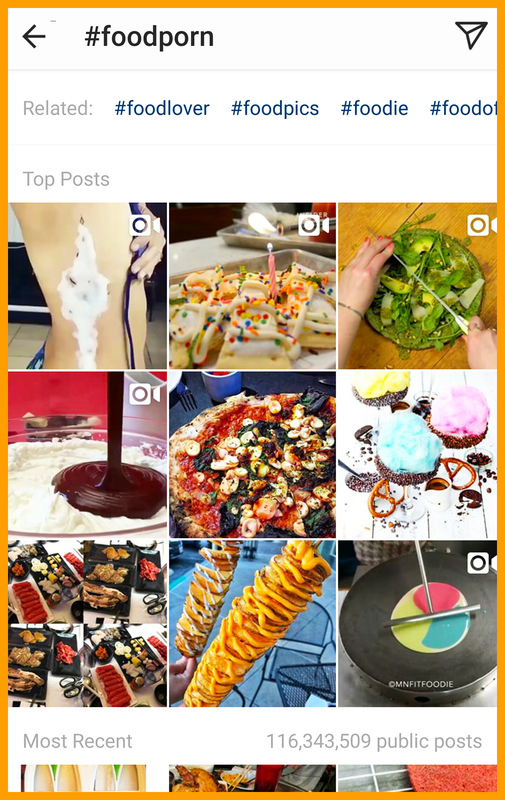 For example, if you’re a restaurant, look under #foodporn. You will see tons of amazing photos. Start liking away. Posting photos is Instagram’s main feature (extra – you can now share multiple images in one post!!!). Using Hashtags is another feature that it is known for. This is a great way to get people who are not currently following you to find you and start to follow you. There has been research that posts with 11+ Hashtags get the most engagement, but there are some experts that claim you should only use 5 per image. Test it out and see what works best for your business. A great way to get your feet wet is by using trending Hashtags (ie. #followfriday, #SelfieSunday etc. ), but this isn’t totally recommended. If it is relevant to what your brand is trying to accomplish or you just want to test it out, then by all means go for it. Tip*** Hashtags are like SEO ~ Go for the ones that aren’t competitive BUT have great traffic! Create Unique Hashtags! It is a great way to categorize different types of content so your followers can quickly find it. It is also a great way to get all of your content in front of your audience. Instagram marketing is dependent on your use of hashtags. They are NOT optional. 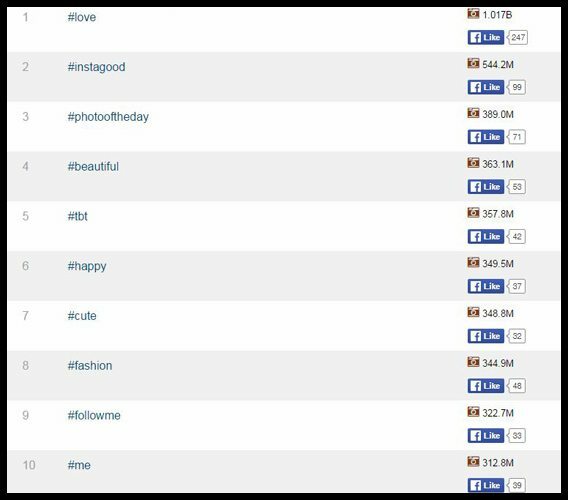 Hashtagify is a great tool to use for finding the Top trending Hashtags. You can break it down by day, weeks or months. It will even show you the up and coming Hashtags. Top-Hashtags is another one tool for showing you the Top Hashtags. You can even use it to group your text and make it into a bunch Hashtags, then view the stats for each one. Or try a tool like Iconosquare, that will draw engagement from your Facebook and fine tune your visual content. This will help you optimize your posts so you know what is and isn’t working. Relevant statistics will give you the direction you need. Every niche has influencers. These are the people you want to follow. Example: Big bloggers, celebrities, and even YouTubers. Find them on Instagram and start following them. Influencer Marketing has a connected community. It doesn’t have to be a huge community. As long as it has your targeted audience is within it, you should see results. 92% of customers trust recommendations of others, even if they don’t know them! If you want to be successful with Instagram, you need influencers on your side. Find the influencers in your niche and start communicating with them. You could even reach out to partner up and host an Instagram contest together or create a product campaign together. Every type of business has influencers. You need to find the ones that will want to try your service or product. People love contests. It’s part of human nature. Who wouldn’t want to win something, right? When you host a contest, don’t forget to promote it on your website. Embed your Instagram photos and videos into your site, especially your blog. This makes it easier for people to follow you on Instagram. It is a great way to gain new followers and to get more engagement. Instagram marketing is dependent on engagement. You don’t want to engage solely with your own audience. 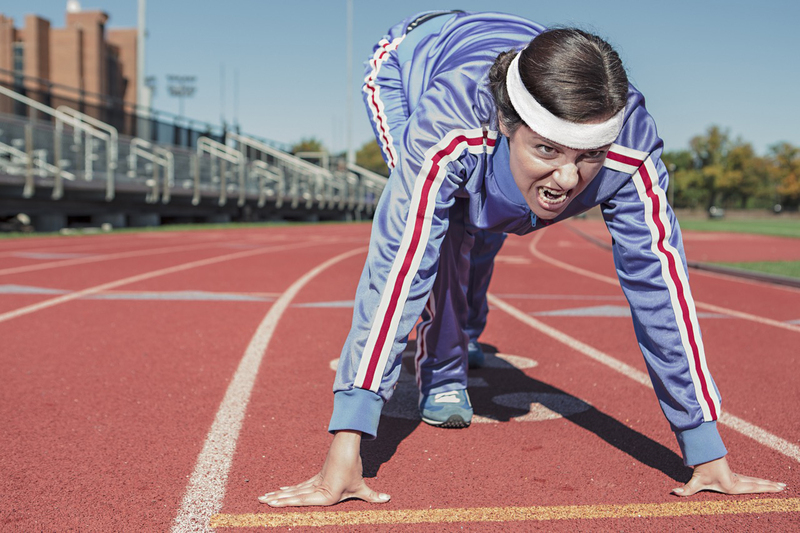 Take a look at your competitors and engage with their audience as well. Follow some of their followers. Like some of their photos and/or make comments. Generally engage them. In an unofficial experiment by eCommerce University, a marketer tested how many of his competitor’s followers that he engaged with would follow him back. – 14% of people he followed returned the follow back. – 22% of the people he followed AND liked followed him back. – 34% of the people he followed AND commented on followed him back. Extra Tip for Reaching Out*** Try using the @THEIRNAME as a way of calling their attention to something you have posted. “Heard you like XYZ” is always a way to casually show off what you’re doing. This works well with influencers, too. Don’t give away everything at once. You need people to follow you. More importantly, you want people to be interested in what you have to post. Now they just have to check back to see where you are going. These are the kinds of posts that Instagram-ers love. Any time you can build suspense, take advantage of it because that’s what makes Instagram for Business such a great tool. Just don’t forget to follow up. Otherwise, you will lose your audience because you left them hanging indefinitely. If you’re not posting regularly to Instagram, you will fall obsolete. You don’t want this to happen, so you need to post regularly. Create a schedule that works for you. Instagram is easier to keep up with when you don’t fall behind. Set reminders to post on a daily basis (or at least a few times per week). Try using an editorial or social calendar to help keep you organized. Tip*** Tailwind is great for scheduling your Instagram post. That way you can knock off your weekly (or monthly) posting all in one go! Extra Tip*** It is also a tool for scheduling your Pinterest Pins as well (we will write about that in a later post). Ahh, Instagram Stories…we saved the best for last! Instagram Stories first launched in August of 2016. Since then, they’ve been a HIT…like a 150 million daily users on stories alone HIT! You have an opportunity to share your whole day with your followers instead of just a few photos. It is a great way for you to produce a more engaging and fulfilling story to your followers. It is better then “Instagram Live” because it stays up there all day (you can even save it for later). Instagram Live disappears as soon as you are finished airing it. The BEST PART is that not everyone is using this yet. So you can jump ahead of your competition by introducing this new element into your marketing strategy. Do a 10 second video shot in a moment or a pre-recorded video. You can find a way to use this in a creative way for any business or brand. If you’re a restaurant, let people in on all of the food prep that goes on throughout the day. If you’re a traveler, let people see all the cool places you have gone. Tip*** Add text, emoji’s doodles & pictures to attract the attention of your followers. Extra Tip*** Embed it into your blog posts after you are finished! The reality is that Instagram for business is easier than it looks. You don’t have to spend a lot of time on the social media platform on a daily basis. Have your phone handy and take photos. Follow influencers & interact with people on a regular basis. 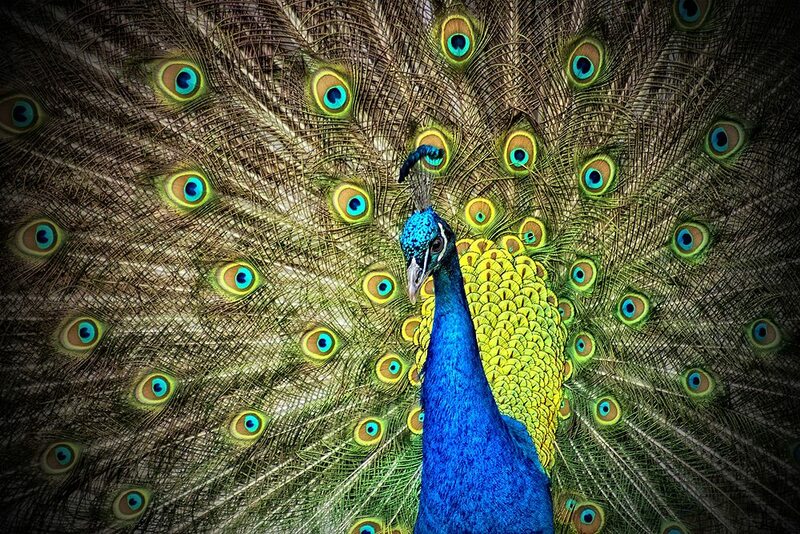 Post fun photos & take a creative approach to the way you post. #BeWorthFollowing – Create quality content that is engaging for your followers! This is not the time to be promotional. This social media platform is focused on engagement and building trust. Have fun with your followers as opposed to trying to sell them something. 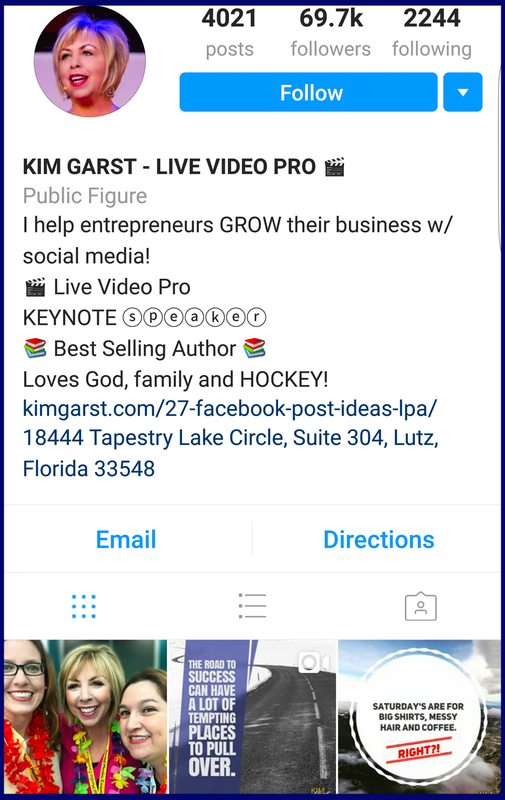 When you put these Instagram for Business tips into action, you will see how much fun it can be. Your followers will learn more about you. This will lead to more engagement on your site, but in a more organic way. Test out what works best for your brand and creating a presence for your business! Copyright © 2018. SEO Web First. All Rights Reserved.